The Palladium, Ossett showing Gary Cooper and Ingrid Bergman in "For Whom The Bell Tolls." 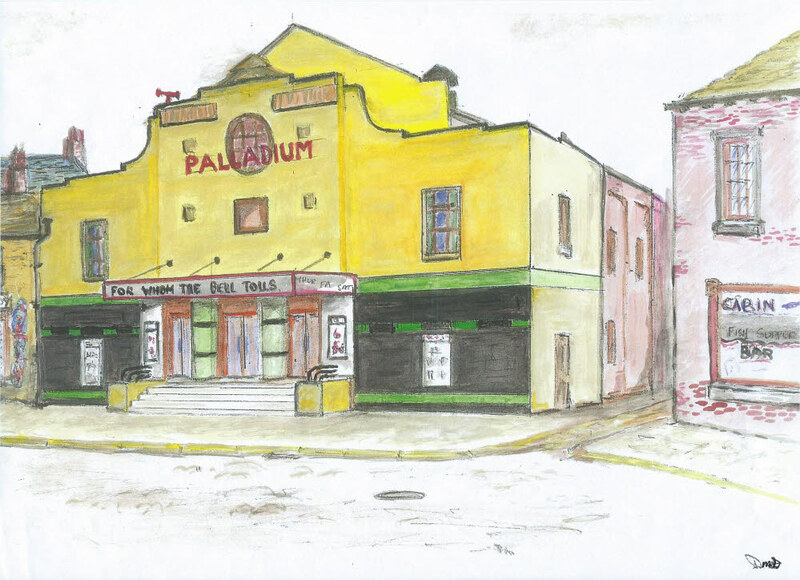 The Palladium cinema opened on the 22nd December 1913 with the silent film "Greater Love Hath No Man" and closed on the 29th April 1961, the last film shown was "The Miracle." The Cinema, once a favourite venue for many Ossett people now of a certain age was demolished later in the 1960s and replaced with shops. To finish off an ideal evening, or afternoon, out the Cabin Fish Bar was conveniently situated on the right.